February 10, 2018 - Emily Royall, Curator - "Open Source: HERE"
Emily Royall (emilyroyall.com) focuses on how communities and cities can leverage technology to build inclusive futures. 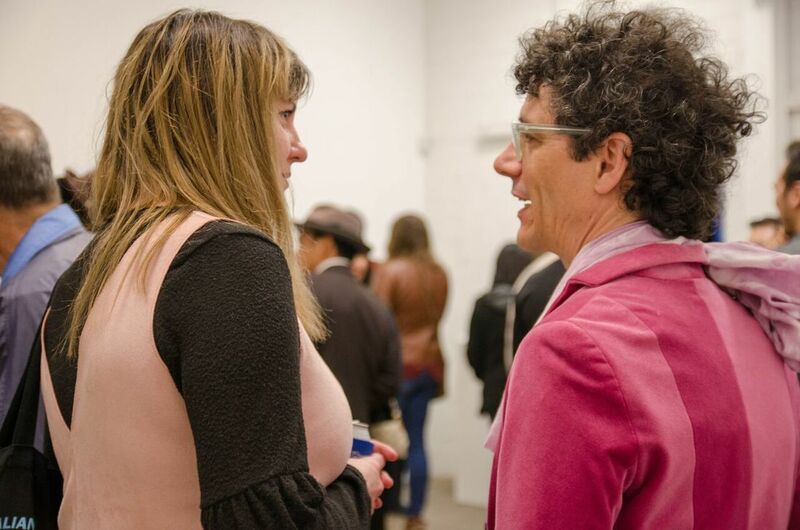 As an independent contemporary arts curator, she works to build platforms for local and regional artists to showcase work on themes of culture, technology, feminism and futurism in the urban southwest. 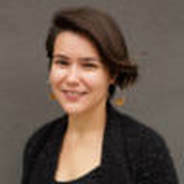 She is currently the Data Director for The Rivard Report, leveraging data driven insight and visualization for grassroots online media and serves on the Steering Committee of San Antonio’s Digital Inclusion Alliance, bringing digital equity and affordable internet access to all citizens of the San Antonio community. Emily received a B.S. Neuroscience and B.A. Plan II Arts at the University of Texas at Austin, and a Masters in City Design & Development from MIT DUSP. As San Antonio crosses into its tricentennial year, our city reflects on what being “here” means today, what it has meant historically, and what it might mean for future generations of our community. As urban revitalization quickly cannibalizes spaces of cultural and emotional significance for longtime dwellers, some neighborhoods react by fortifying their narrative while others embrace the uncertainty of change. ​Dockspace sits at the intersection of three rapidly changing neighborhoods-- Arsenal, King William and Avendida Guadalupe. Open Source: HERE repurposes the gallery space to embody this change from the perspective of three artists working in different senses-- scent, sound and touch. 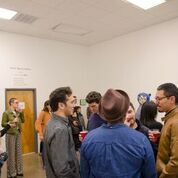 Each artist will source material for their work from within a one-mile radius of the gallery space itself. Traces of their work, happenings and engagement transform Dockspace into a temporary proxy for the change experienced in real time by the surrounding community. Amanda Claire Miller is an artist and designer working primarily in non-traditional methods of fiber. 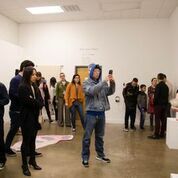 Her art has been exhibited throughout Texas, including recent exhibitions at the McNay Art Museum, Capsule Gallery, the Palmetto Center for the Arts, Artpace, French & Michigan, Flight Gallery, Agora Gallery, FLAX studio, and Blue Star Contemporary. She lives and works in San Antonio where she runs Hello Studio, a gallery and residency space. Nicholas Frank was the 2017 International Artist-In-Residence at Artpace and is currently the Arts & Culture Reporter at the Rivard Report. As an artist, writer and curator, Frank blends these designations together in the Nicholas Frank Public Library, a new project space in Milwaukee. Mark Menjivar​. He is an artist and Assistant Professor in the School of Art and Design at Texas State University. His work explores diverse subjects through photography, archives, oral history, and objects.